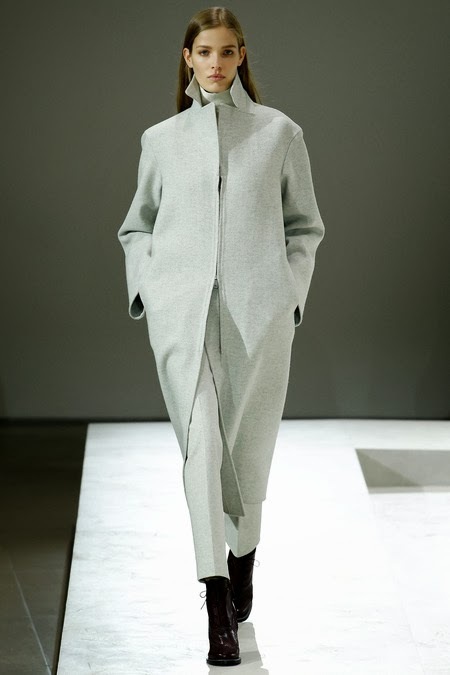 Germany's Alisa Ahmann certainly made a powerful statement opening exclusively for Calvin Klein at the Fall/Winter 2014 collections with her sensual womanly presence. Aged 19 years and standing at an imposing 179 cm, Ahmann's striking looks are reminiscent of Danish late 90's top model Rie Rasmussen and the iconic German Super Veruschka. Represented by Model Management in Hamburg, Elite Model Management in Paris, and newly signed to the Society Management in New York, Ahmann has modelled extensively in Australia for local fashion labels Trelise Cooper and Country Road. Ahmann's expressive grey/blue eyes, flawless complexion, and voluminous lips have already graced the cover of German publication Quest and seem destined to attract interest from cosmetics companies. With the Paris Fall/Winter 2014 collections currently underway you can expect Ahmann to surface exclusively on the runways with the most influence, proving that a quality versus quantity approach prevails.